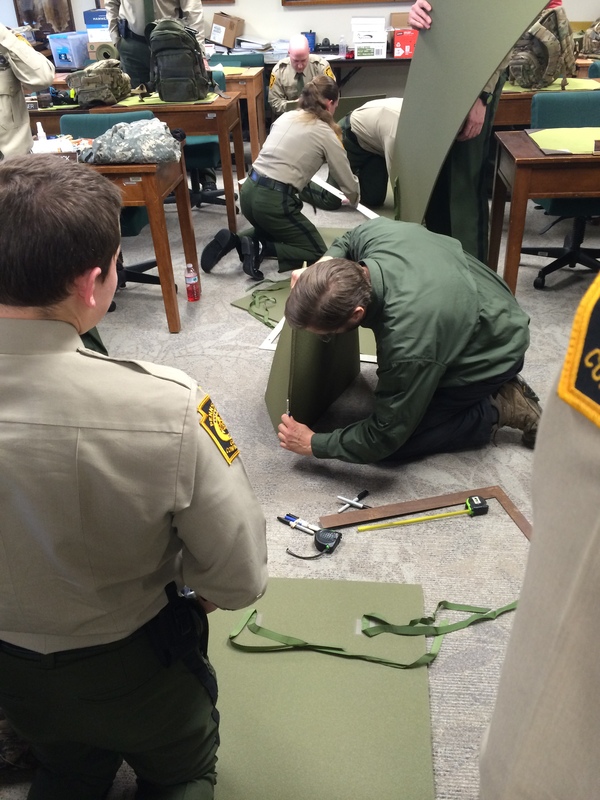 Class 22/140 – The Plastic Meltin’, Bivy Pad Sleepin’, Pennsylvania Game Wardens.. 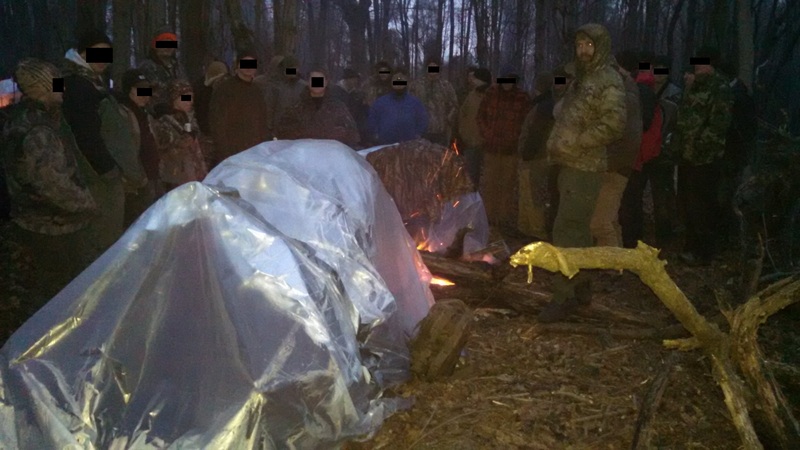 It didn’t take a genius to figure out something was up when a couple military vets and a bushcrafter at the Pennsylvania Game Commission Academy asked me what was the highest temp I had recorded in a super shelter. And break it they did… Roasting themselves at 140 degrees for un-explainable reasons that only other Type A’s jacked up on testosterone would understand. Maybe they missed the heat of the desert, but for the first time ever, I witnessed the plastic melt from the inferno they created in front of their shelter. 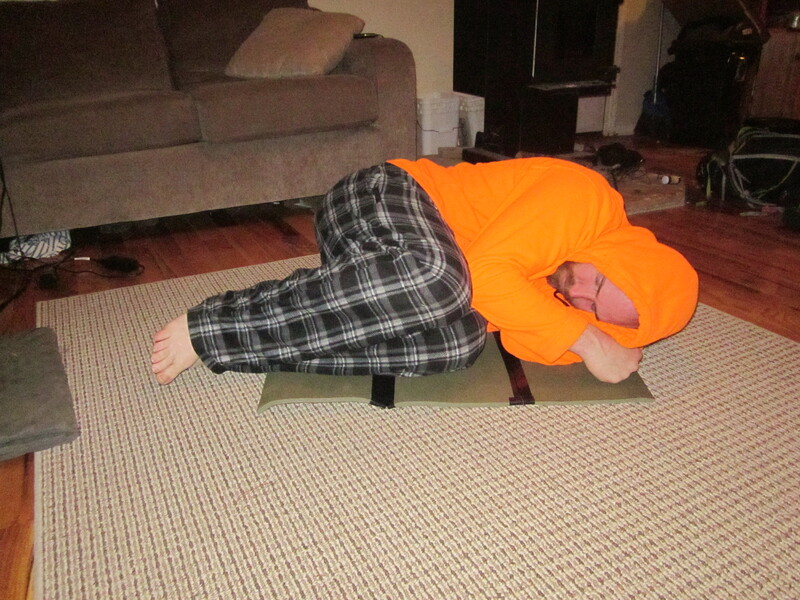 And while the 22 degree night should make hypothermia a concern, hyperthermia was on my mind. This class also had a couple other firsts for me.. It was the first time teaching with renowned tracker Rob Spieden of http://trackingschool.com/. 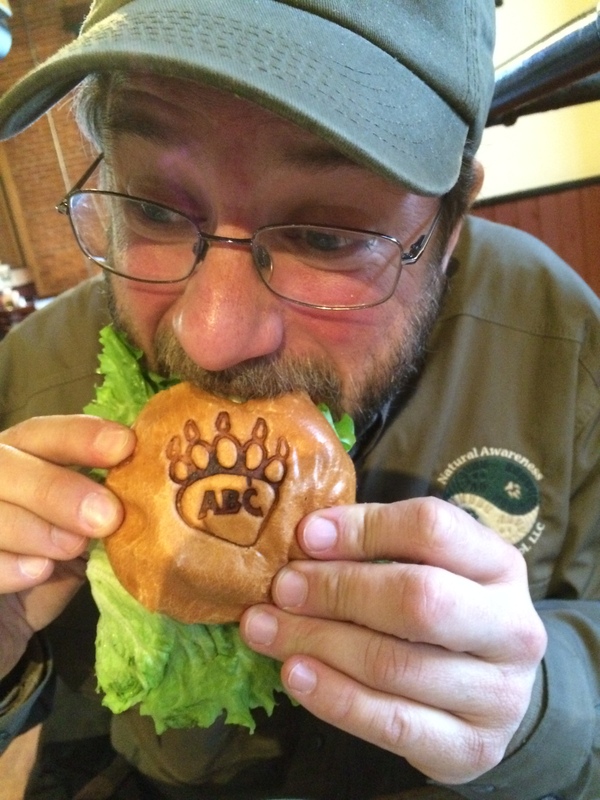 Rob is so good with tracks, he eats them for lunch.. 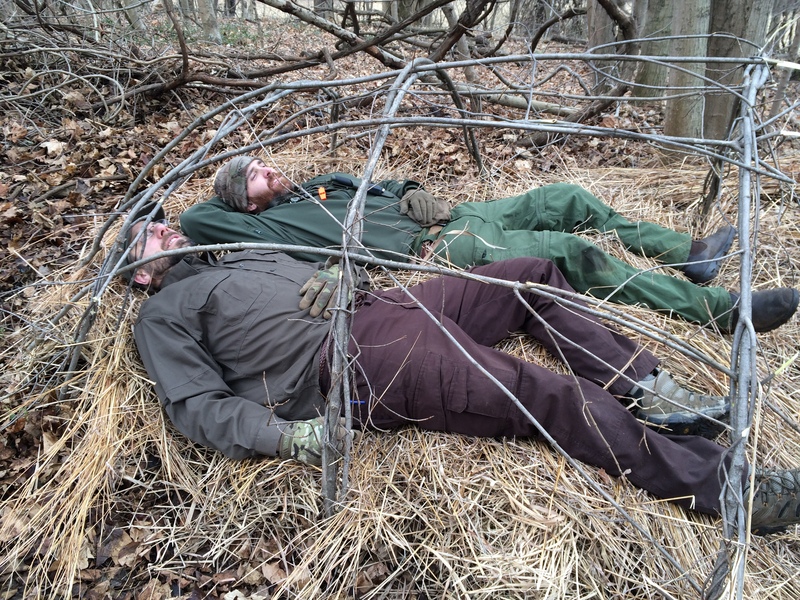 I knew we could manage the fires by building group shelters and a couple singles for samples, but to build a good bed that insulates you from the ground you need a lot of natural bedding. But I didn’t worry too much, because I had a trick up my sleeve… well, really it was in my pack. Experienced in the workload of making natural beds, years ago I started using cut down foam pads to replace the framesheet in my packs. I later found out that alpine climbers had been doing the same thing for years and they called them “bivy pads”. 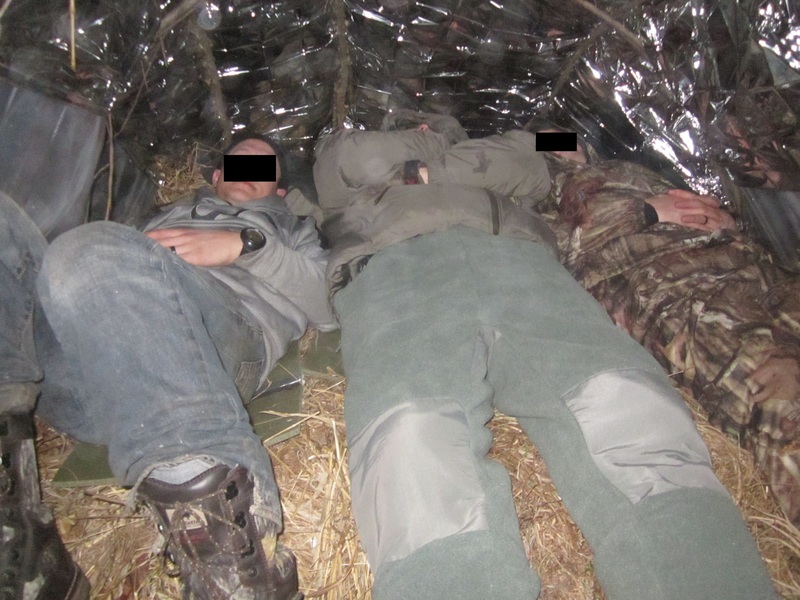 Fast forward to my LE Ranger years and you would find me sitting on mine for every poaching detail or surveillance op, something that the game warden cadets will soon understand. 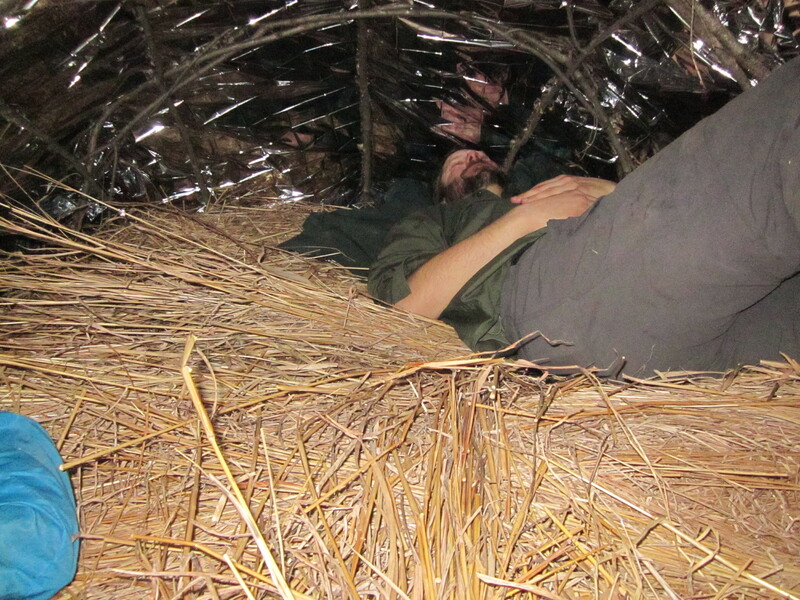 If you are injured, all the natural bedding is wet or absent, or you don’t have time to build a bed, a bivy pad is a great lightweight option to supplement your natural bedding or as a stand alone pad in dire straits. This multi-use pad can also provide flotation in your pack if crossing bodies of water or it can be used for a host of improvised splinting options. 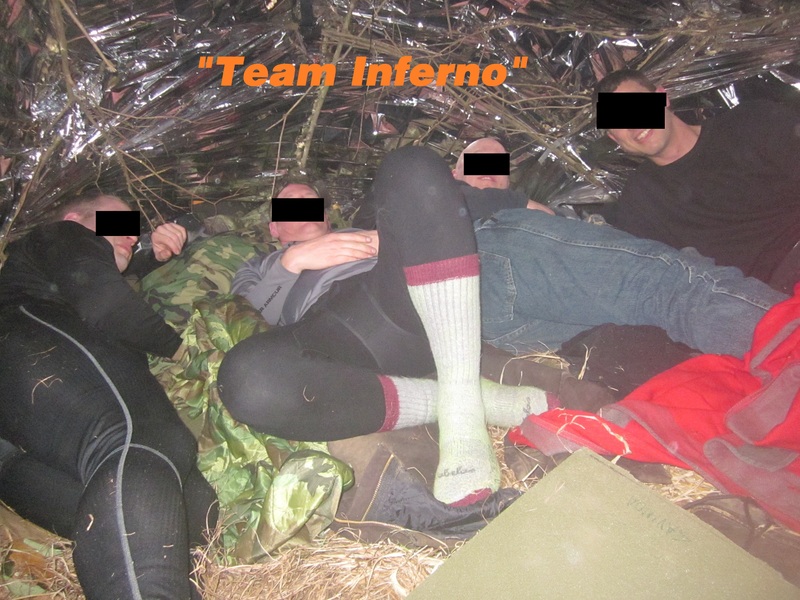 Bivy pad in use by cadets, supplementing natural bedding.. 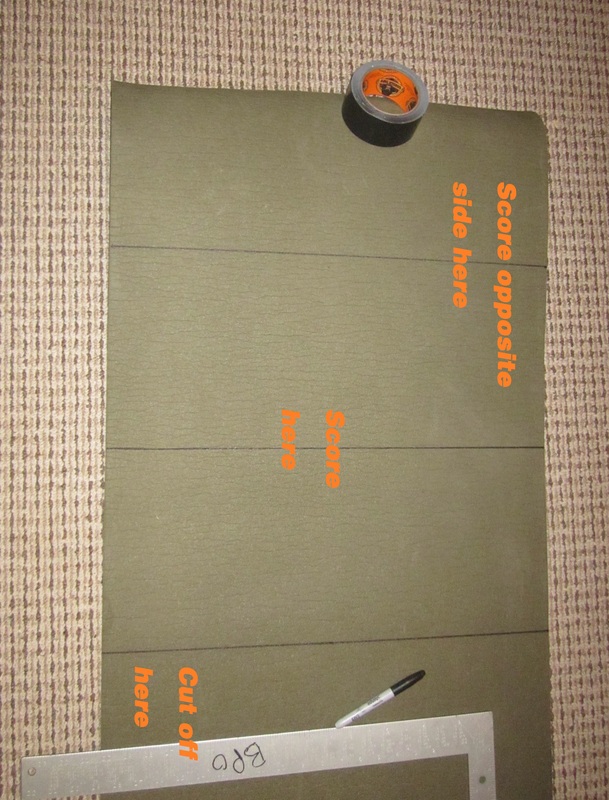 So here is a quick tutorial on how to make a bivy pad for your day or patrol pack. 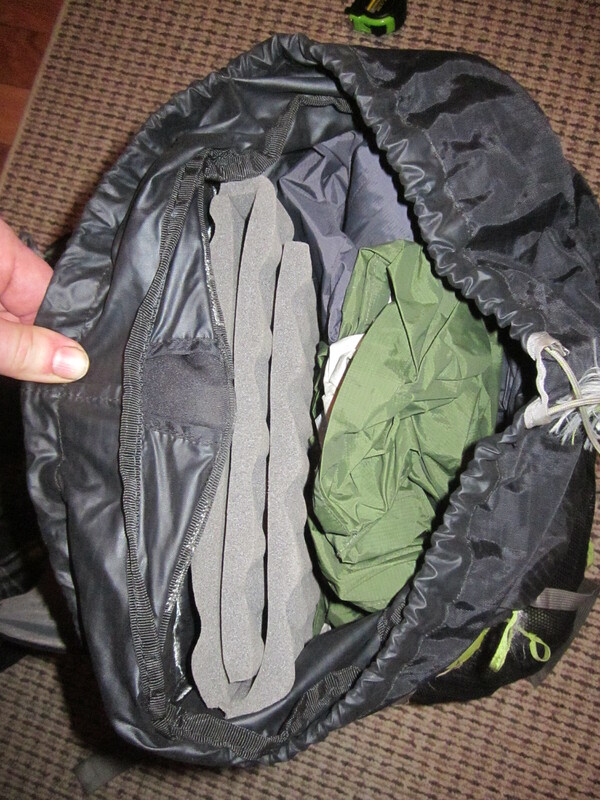 First, measure your pack to find the inside dimensions. 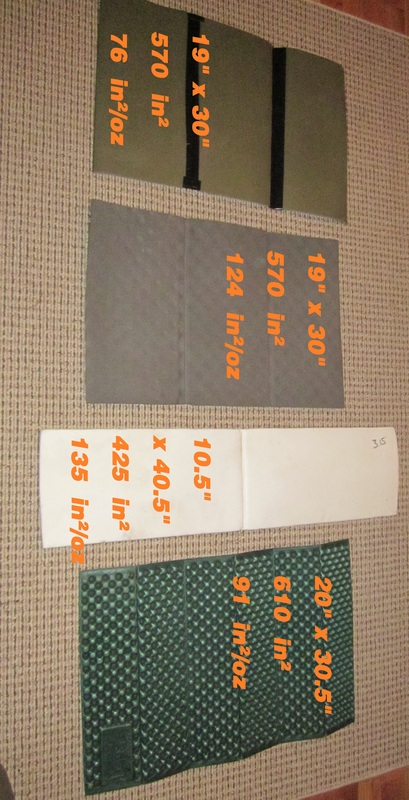 The example I will be making is for a pack 10″ wide and 19″ long. Buy an army surplus pad. 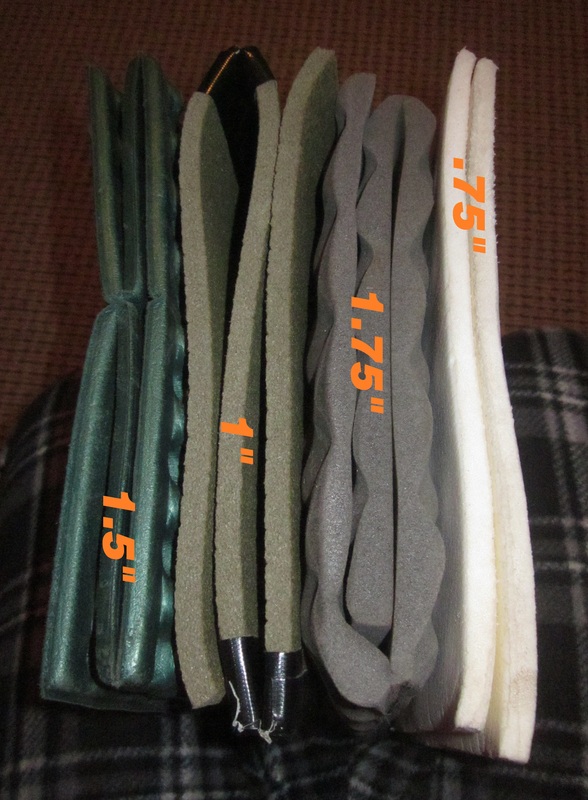 If you are in my area, go see Eva at Foothills Army & Navy https://bigpigblog.com/2014/12/06/foothills-army-navy/ One pad costs $11 and will make two bivy pads. 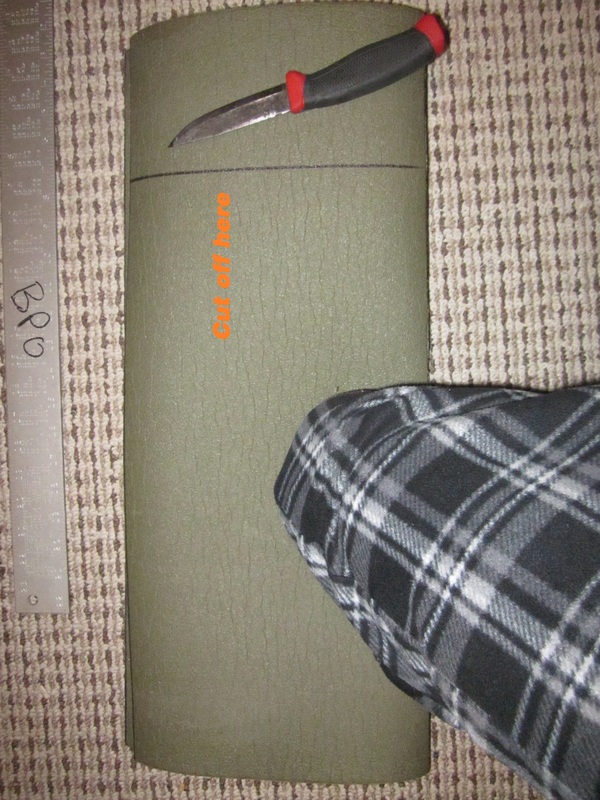 Measure, cut, and score (partially cut) your pad so it folds flat into three sections. Cut off the extra width..
At this point, you are good to go. 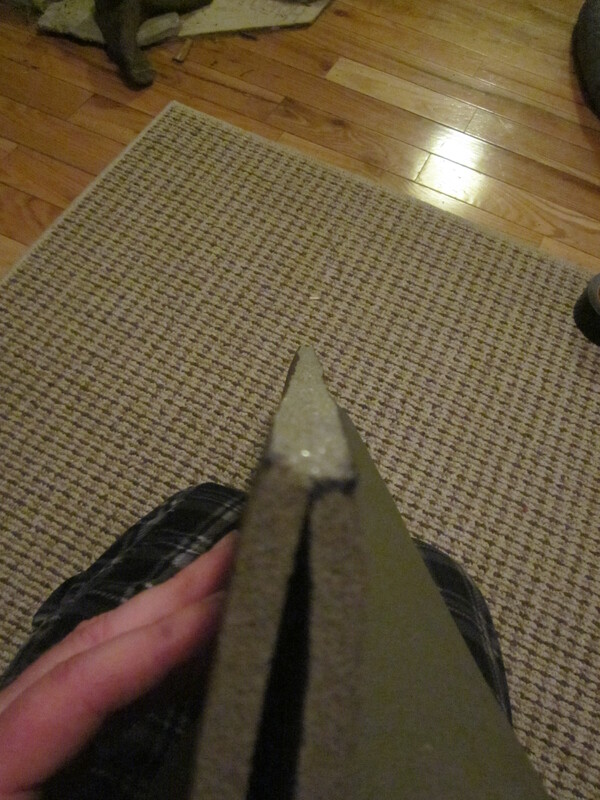 I have used a scored, partially cut pad, for years, but if you want extra security, you can gorilla tape the seams. Make sure to tape the open cut while folded, allowing it to fold and lay flat when opened. 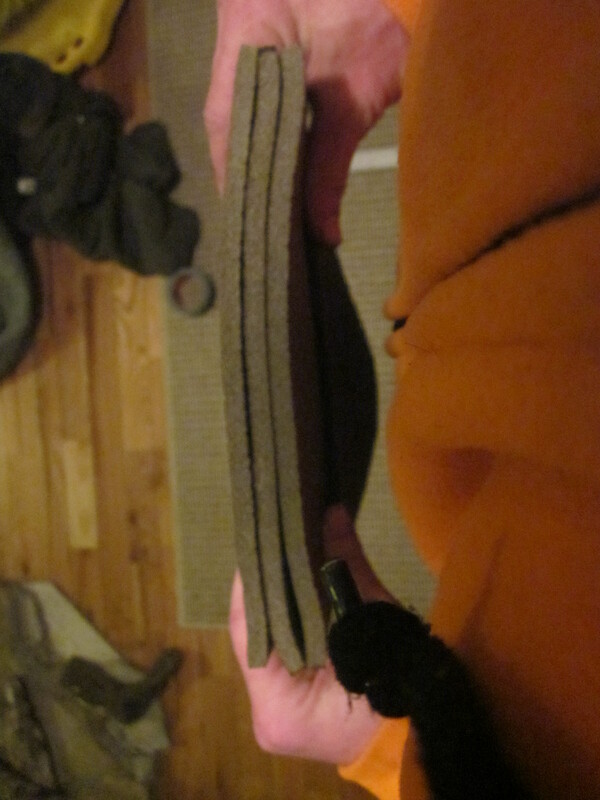 So that gives me a torso length pad in my patrol pack at all times. Once my pack is empty, I can throw in under my legs or under worst case conditions, all 200 pounds of me can curl up and fit on it. 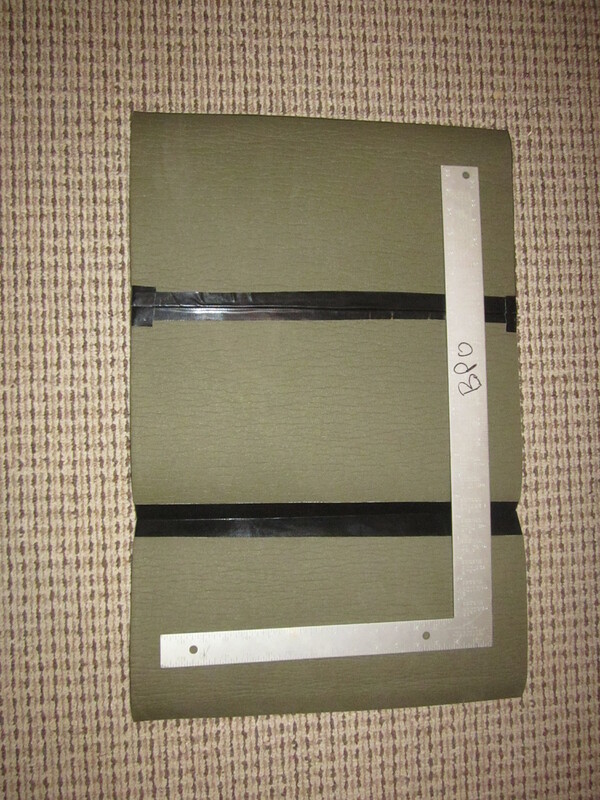 Fifteen years ago, my prototype pad was a cut down Ridgerest that folded length wise. It is out in the shed somewhere, but here are a few other options. 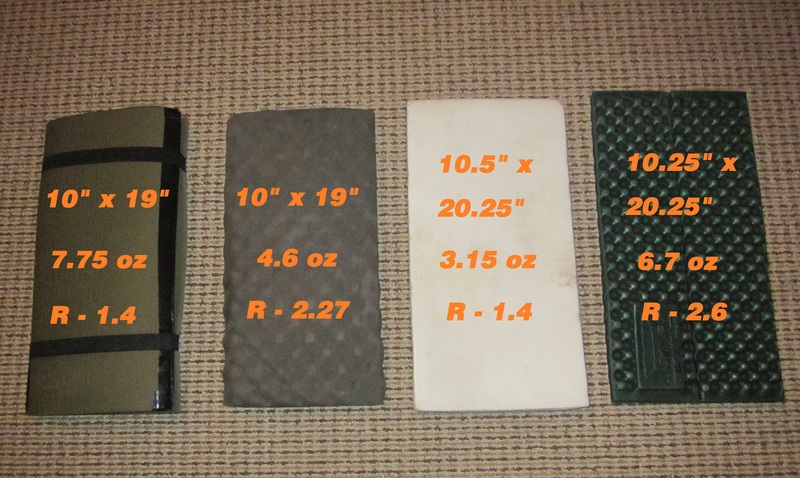 L to R – BPO pad, Gossamer Gear, pad from CCW pack, Z-rest cut to 6 panels. 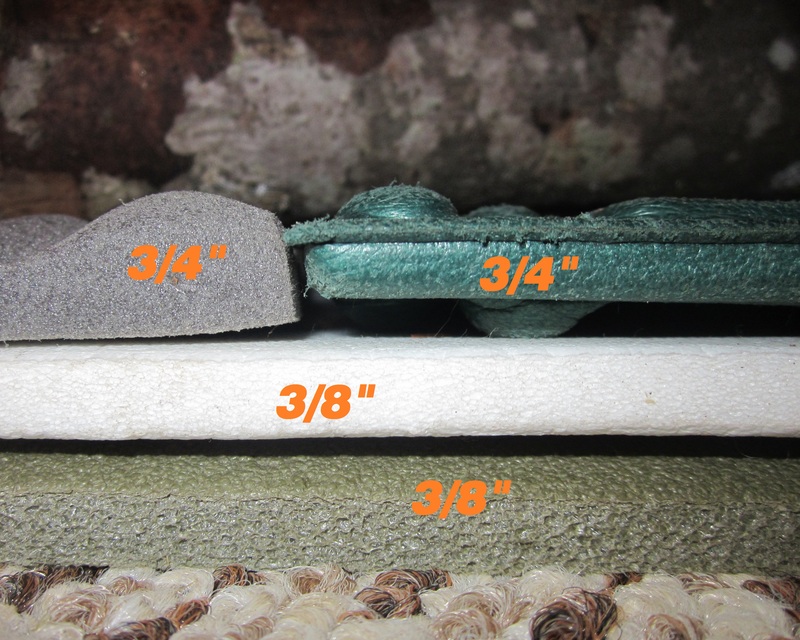 You will also see the size, square inches, and square inches per ounce. You can see why the GG pad is riding in my pack. Thicker, lighter, and a higher R-value. While the Z-rest folds better and has a marginally higher R-value, the denser foam on the GG has held up better. 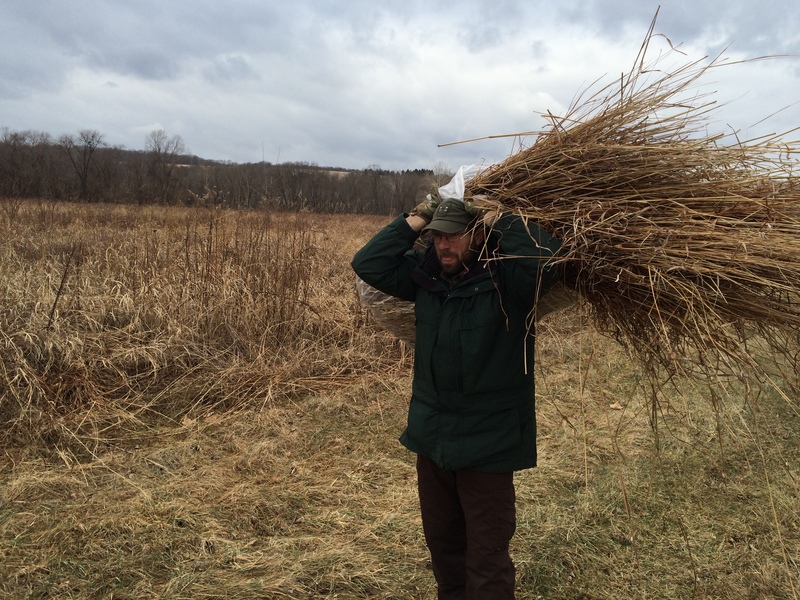 Natural beds are the same. When you understand the importance of sleep, the workload of gathering enough bedding, the heat robbing effects of conduction and merge them with the realization that you may be injured or unable to build a sufficient bed, you will be hard pressed to argue against carrying four and a half ounces of lightweight “life insurance”. Whether is is a commercial product or a homemade version, a bivy pad in your day pack helps fight against conduction and can make an awkward “Big Spoon, Big Spoon” night tolerable. 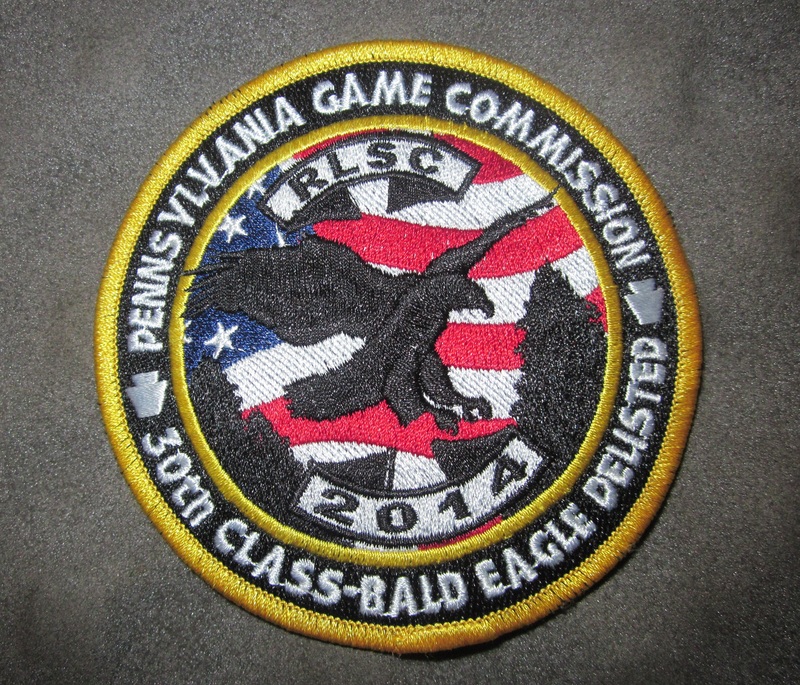 Congrats to the soon to be graduates of the 30th class of the Pennsylvania Game Commission!! May your careers be full of action, your bivy pads serve you well, and I pray you don’t get assigned to the same county as Rosie-Vic!! 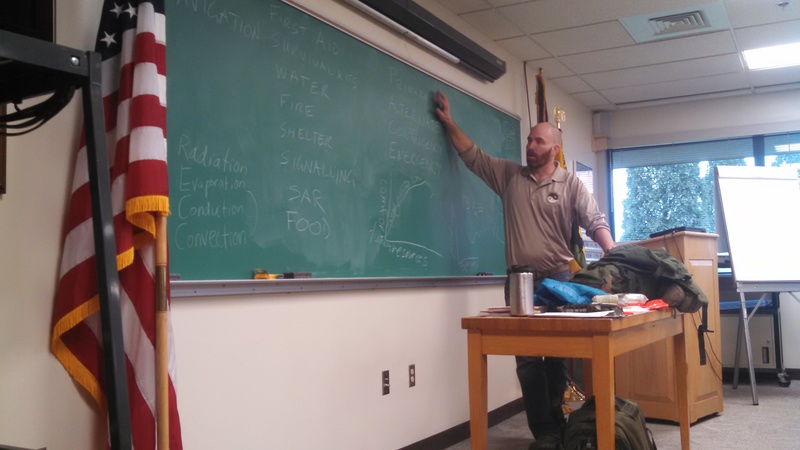 This entry was posted in Class Announcements, Gear and tagged backpacking, bivy pad, bushcraft, cadets, conduction, game wardens, Gossamer Gear, heat loss mechanisms, hiking, natural bedding, Nightlight, pennsylvania game commission, R-value, sleep, sleeping pad, wilderness emergency, wilderness survival on February 14, 2015 by bigpigoutdoors.